DirecTV Now is a streaming service owned by AT&T which allows subscribers in the U.S. to stream programming from cable TV channels without making a long-term commitment. For $35 per month, customers get access to a basic package of more than 60 channels, including all the major news channels (i.e. CNN, CNBC, Fox, MSNBC), entertainment channels (i.e. Disney Channel, Animal Planet, History, National Geographic, Food Network), and sports channels (i.e. ESPN and ESPN 2). It costs $70/month to get access to all the channels, and an extra $5 to $8 per month for HBO, Cinemax, Showtime, and Starz add-ons. DirecTV Now can be streamed straight to your TV via Apple TV, Roku, Amazon Fire TV, Android TV, or Chromecast, and to iOS and Android mobile devices. More than 200 servers in U.S.
Can I watch DirecTV Now outside the US? Only people—or more accurately, servers—located in the United States can access DirecTV Now. Fortunately, a VPN, or virtual private network, provides people outside the U.S. with a way around this. No matter where you are in the world, simply log on to a VPN server in the U.S. and sign up or log in to your DirecTV Now account to stream live programming from all the best American cable TV channels. Setting up a VPN for DirecTV Now involves 2 steps: the first step is to set up your VPN service; the second is to set up your DirecTV Now subscription. Install the provider’s VPN client on your preferred device (i.e. Windows or Mac computer, Android or iOS smartphone) or browser extension (i.e. Chrome or Safari). The VPN client or app will show you instructions for setting up on your chosen device. Enter the VPN client and connect to a server in the U.S.
Now that you’re connected to a server in the U.S., you can access DirecTV Now. If you’re already a DirecTV Now subscriber, you’ll be able to stream live TV programming right away. If you’re not yet a DirecTV Now subscriber, you’ll first need to register. All packages are contract free and commitment free, meaning customers can try the service out for a month and stay as long as they like. DirecTV Now can be streamed straight to your TV using Apple TV, Roku, Amazon Fire TV, or Chromecast. DirecTV Now will even send you an Apple TV 4K for free if you prepay for 3 months of its service. This is a great deal, given that the Apple TV4K costs $179 on the open market, and 3 months of the basic DirecTV now package costs just $105. A Smart DNS proxy offers an alternative method of unblocking geo-restricted streaming services. A Smart DNS works by redirecting the part of your connection that reveals your location to the content provider, enabling you to access services such as DirecTV Now from outside the U.S. To use a Smart DNS proxy to access DirecTV Now, sign up for any Smart DNS service that shows DirecTV Now in its list of unblocked channels (which you should be able to find on each service’s website). ExpressVPN is among the best VPNs for DirecTV Now, with hundreds of super-fast servers in 29 locations throughout the United States. ExpressVPN guarantees 99.9% uptime, ensuring you can watch all your favorite cable TV programming uninterrupted. Support staff are available by live chat 24/7 to assist you if you experience any issues. Pricing for ExpressVPN is a little higher than some of the competition, but its value for money ranks highest. A monthly plan costs $12.95 per month, a 6-month plan brings it down to $9.99 per month, and if you buy an annual plan the cost goes down to only $6.67 a month. NordVPN offers possibly the highest number of servers of any VPN provider in the U.S, with 1,586 and counting at time of writing. All its American servers provide high-speed streaming with a bunch of security features, including double VPN, dedicated IP, and anti-DDoS protection. NordVPN customers can log on to servers on up to 6 devices on one time, meaning you can stream multiple DirecTV Now channels on multiple devices simultaneously from anywhere in the world. NordVPN's pricing is extremely competitive, with a monthly plan costing you $11.95 per month, which decreases to $5.75 for an annual plan, $3.29 for a 2-year plan, and a 3-year plan costs just $2.75 per month. CyberGhost is a top VPN for streaming TV content, offering its customers high-speed internet connections as well as a function that connects to DirecTV Now or other streaming services with a single click. In the CyberGhost client or app, simply go to “Unblock Streaming” or “Secured Streaming,” then choose the streaming service you wish to access or add your own (such as DirecTV Now) to the list. Let's talk CyberGhost's price, which is also really competitive. A monthly plan costs $11.99 per month, a 6-month plan costs $4.99 per month, and its yearly plan costs only $2.75 per month. ZenMate promises high-speed and ultra-secure VPN connections through American servers, making it easy to stream and enjoy DirecTV Now from all over the world. It offers high-quality encryption through the AES 128 security protocol. ZenMate guarantees unlimited bandwidth and 99.9% uptime, meaning customers can stream DirecTV Now for as long as they wish without any worries about being disconnected. Here's ZenMate's pricing structure. A monthly plan runs $8.99 per month, an annual plan costs $4.99 a month, and a 2-year plan runs pretty low at $2.91 per month. HideMyAss is a great VPN solution for customers who wish to access live streaming but are less concerned about privacy. HMA can connect customers to DirecTV Now via more than 200 servers in the U.S. It offers a built-in speed-testing tool so you can see for yourself just how it works. Unlike most of the top VPN providers, HMA logs your IP address—although it doesn’t log your browsing history. HideMyAss' pricing structure is relatively average. A monthly plan costs $11.99 per month, a 6-month plan costs $7.99 per month, and an annual plan drops down to $6.99 per month. 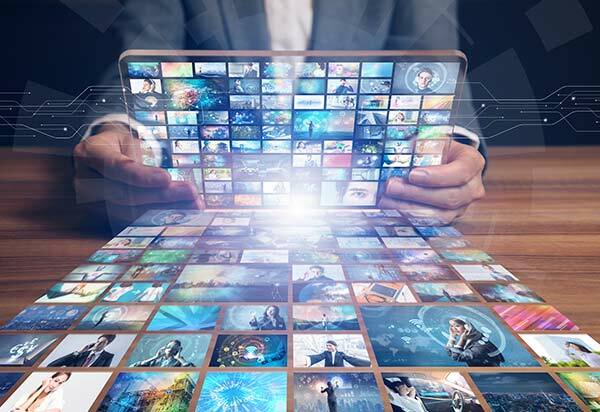 We are in the midst of a television revolution, with services like DirecTV Now taking power away from the traditional networks and making content available to anyone with an internet connection. This revolution has taken place largely inside the United States, but the truth is that no internet content is truly restricted to any one country. To enjoy all the benefits of the best online streaming content from outside the United States: simply subscribe to a VPN service, log on to a US server, and start streaming DirecTV Now. It’s really that simple.